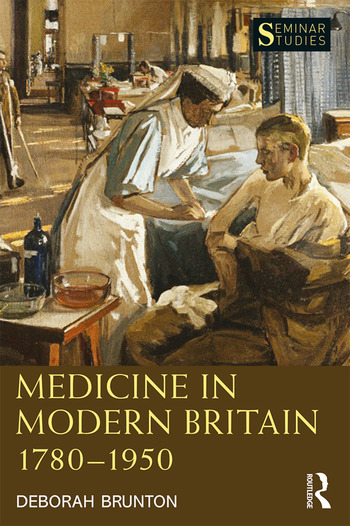 Medicine in Modern Britain 1780–1950 provides an introduction to the development of medicine – scientific and heterodox, domestic and professional – in Britain from the end of the early modern period and through modern times. Divided thematically, each chapter within this book addresses a different aspect of medicine, covering diseases, ideas, practices, institutions, practitioners and the state. This book centres on an era of rapid and profound change in medicine and gives students all they need to establish a solid understanding of the history of medicine in Britain, by offering a clear and coherent narrative of the changes and continuities in medicine, including names, dates, events and ideas. Each aspect of medicine discussed within the book is explored and contextualised, providing an overview of the wider social and political background that surrounded them. The chapters are followed by a documents section, containing important primary sources to encourage students to engage with original material. With a selection of images, tables, a who’s who of all the key people discussed and a glossary of terms, Medicine in Modern Britain 1780–1950 is essential reading for all students of the history of medicine in Britian. Why did patterns of disease change? Deborah Brunton was a senior lecturer in the History of Medicine at The Open University. Her previous publications include Health and Wellness in the Nineteenth Century (2014), The Politics of Vaccination. Practice and Policy in England, Wales, Ireland and Scotland, 1800–1874 (2008), Medicine Transformed: Health, Disease and Society in Europe 1800–1930 (2004) and Health, Disease and Society in Europe 1800–1930: A Sourcebook (2004).